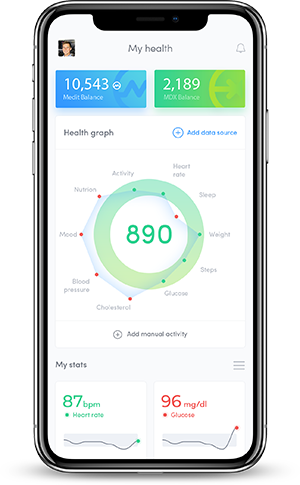 Humantiv measures your health by combining wearable data, medical records, and genetics into an easily understandable personal health score. To improve health, we must be able to measure it first. 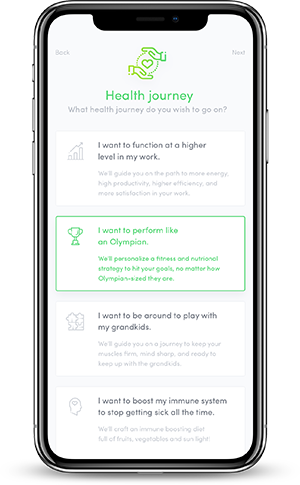 Our Proof of Health algorithm tracks and measures the changes in your health over time. When certain metrics are hit and goals are accomplished, our algorithm generates a unit of value called a Medit (ERC-20 token). The more healthy things you do, like getting better sleep and walking more, the more Medit you earn. Download our app & connect your health data. Pick a personal health journey, set goals, and get moving. 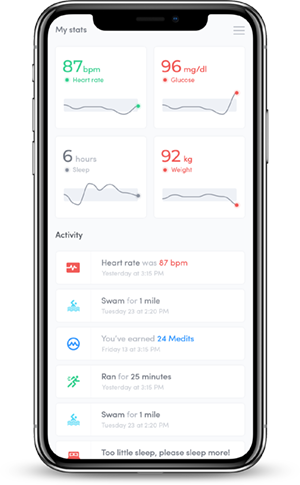 Increase daily activity, get more sleep, and earn Medit. Own your health record & get paid for your data.